Insurance for Painters in Cincinnati. 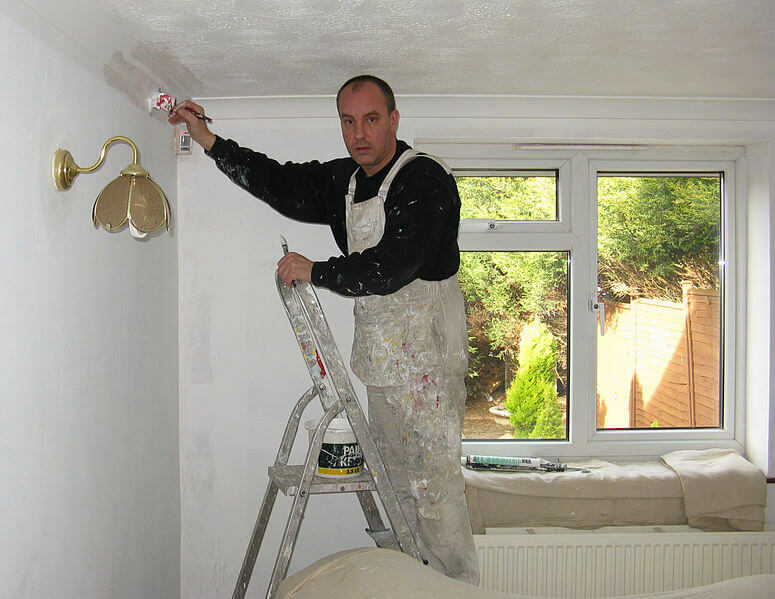 Our agency specializes in providing insurance for painting contractors in Cincinnati Ohio. We can find the appropriate coverage for your business needs and the great news is that commercial insurance rates for painters are very reasonable. Our agency offers some of the lowest prices on general liability insurance in Ohio for painters. Other contractors also may be eligible for this program, call 513-662-7000 for details to see if your business qualifies if you are not a painting contractor. There are some aspects of commercial insurance for painters in Ohio that you need to be aware of, let’s discuss those next. Mistakes Made on Liability Insurance for Painters in Ohio. The first mistake some painting contractors make, to their financial detriment, is that they believe they do not need Painters Contractors Insurance in Cincinnati. What could happen without it? In reality there are many situations a painting contractor could find themselves in where an injury, damage or both can be blamed on the contractor. If a general liability insurance policy is not in benefit when the damage or injury occurs, the painting contractor can be ruined financially without this vital coverage. If you do purchase general liability insurance, have you properly disclosed to the insurance company the use of any subcontractors? Some insurance policies have automatic exclusions when you use subcontractors. If you are using subcontractors in your business make sure you disclose this to your insurance company. What Happens If I Do Not Disclose Subcontractors? Failure to make known the use of subcontractors in your business may cause the insurance company to void your policy from its inception if a claim is submitted. Insurance companies may consider a failure to disclose subcontractors a material misrepresentation. An insurance policy voided from its inception means that no coverage was ever in benefit leaving the painting contractor on the hook to pay the claim completely out of pocket. Another mistake on commercial liability insurance for painters in Cincinnati is when the appropriate insurance coverage is not purchased by the roofing contractor. For example if you fail to purchase commercial automobile insurance and you cause an accident while you are making use of your vehicle to transport tools and equipment, material or employees, relying upon your personal automobile insurance policy to pay the claim may not work due to exclusions within the personal auto policy on business usage of your personally owned vehicles. We Offer the Painters Contractor Insurance Coverage Checklist. All new clients can receive a painter’s contractor insurance coverage checklist that will help you to determine if there are major gaps in your insurance coverage for your Commercial Insurance Policy for Painters in Ohio. For the Best Painting Contractors Insurance in Cincinnati Call 513-662-7000.